You know those pamphlets, sales sheets, and business cards you hand out to prospects in person? They should not be your website. In this day and age, you will be passed over if you try to get away with it. The design and "feel" of your printed marketing materials can certainly influence the design of your web marketing efforts, but there should never be a direct 'Save-As' from tri-fold to website. It should be a law! That isn't the be all and end all list of web marketing tactics that go into the 'big players' efforts, but it's a solid foundation for any business. Over the coming weeks we'll be sharing some tips and guides for planning a 12 month web marketing strategy. 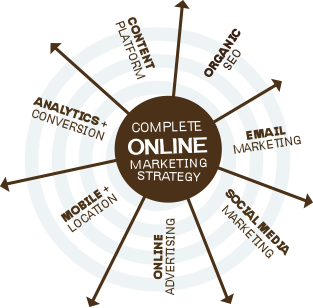 Your strategy should go much further than a static website with no ongoing attention to it.